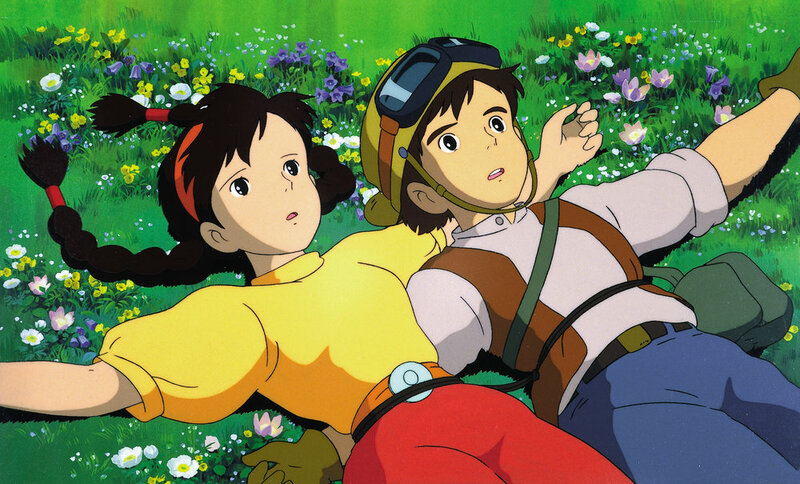 Studio Ghibli’s first film, 1986’s Castle in the Sky, moves at a breathless pace. It sets the lively, brisk tempo that drives all of Hayao Miyazaki’s films. The narrative is structured as a series of chase scenes: Protagonists Pazu, the archetypal plucky shōnen hero, and Sheeta, a reticent, mysterious princess with a magical amulet, search for the floating city of Laputa as they are pursued by a gang of pirates and a ruthless military operative. It’s possible to ascribe the film’s shape to the way Miyazaki works with his collaborators. Ghibli’s stable of artists begins work on Miyazaki’s films before he finishes the storyboards; thus, the plot and the visuals end up shaping each other into a headlong rush of motion. It’s unclear whether this process is the same with all of Ghibli’s directors, but it’s evident in the stream-of-consciousness quality of Miyazaki’s stories. 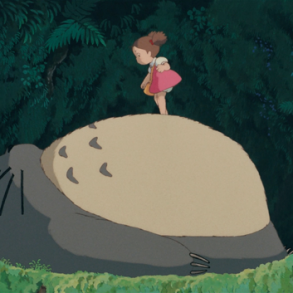 The plot of My Neighbor Totoro unfolds like a run-on sentence, as if the narrative is chasing after the characters. The same can be said for Kiki’s Delivery Service, the most fascinatingly quotidian of Miyazaki’s films; it is content to follow Kiki as she ekes out an everyday existence, with all the detours and curlicues of life intact. Miyazaki’s peculiar narrative sense leavens the heavy thematic material of Castle in the Sky. The film takes a hard stance against atomic power, which may come as a surprise to anyone expecting the meticulously nuanced ethical quandaries of Princess Mononoke. But most of Castle in the Sky is a straightforward adventure tale; Miyazaki leaves the explicit allusions for the climax. Nature in Castle in the Sky is much simpler; its purity is corrupted by human influence. Laputa is an abandoned city wrapped around a massive tree, the grand ruins reclaimed by nature and tended to by tireless mechanical guardians. We learn little of Laputa’s inhabitants except that at some point, long ago, they voluntarily abandoned the city to live on earth. Laputa is held aloft by a giant “volucite” crystal, a larger chunk of the same stuff in the amulet strung around Sheeta’s neck. It’s possible that the Laputian robots are powered by internal crystals of their own, given that they respond to and protect Sheeta, or are somehow tethered to the crystal embedded within Laputa. Volucite is an unobtanium-style magic material, and we don’t learn much about it except that its power was inevitably harnessed by humans for their own ends. Those ends include flight, but also, as is revealed at the film’s climax, annihilation. When the eminently hateable Colonel Muska (one of Miyazaki’s least ambiguous villains) demonstrates Laputa’s power, the explosion bears the unmistakable shape of an atomic cloud. Upon seeing this, Pazu and Sheeta do not deliberate. They know that volucite has benign, even beneficial uses as surely as it has destructive ones, but they immediately decide to destroy Laputa rather than allow it to be wielded as a weapon. Colonel Muska is a monster with no compunctions about shooting and abusing children, to say nothing of massacring his own men and harnessing the power of Laputa for his own genocidal ends. It is in response to his extremity that Laputa is consigned to the heavens, beyond humanity’s reach indefinitely. That is: Laputa is a sign of things to come, if we as a species can eventually learn to coexist with nature. The relationship between humanity and nature is just that: a relationship. But Miyazaki presents this thesis elsewhere in his work, and often with more nuance. What, then, accounts for the severity of Castle in the Sky? The straightforwardness of its climax seems almost dogmatic in comparison to Nausicaä or Princess Mononoke. In Mononoke, says Martin, the fiery bellows at the heart of Irontown is at once “creative and destructive.” It enables humans to live among the forest, but their mining and logging changes the shape of the world around them. The film’s conflict is, broadly, a negotiation of these boundaries. The dilemma that Pazu and Sheeta face at the end of Castle in the Sky is black-and-white in comparison to the intractable problem of Irontown, the forest gods, and Prince Ashitaka. In 2011, Miyazaki was featured on a magazine cover holding a sign that reads “No nukes” in Japanese. The sign is visible in Mami Sunada’s 2013 documentary The Kingdom of Dreams and Madness, an intimate look inside Studio Ghibli; there Miyazaki also makes further, if slightly elusive, comments against nuclear energy. The ending of Castle in the Sky is a reflection of Miyazaki’s hardline anti-nuclear stance: no more, no less. Miyazaki was a child during World War II; his father built parts for Zero warplanes. The optimism inherent in Princess Mononoke’s ending, where even Lady Eboshi—the nominal villain—resolves to change her ways, is cloudier here. I can’t possibly unpack the psychic trauma inflicted by the nuclear attacks on Hiroshima and Nagasaki; its resonance can be felt in decades of Japanese art and popular culture. For Miyazaki, there is no middle ground. 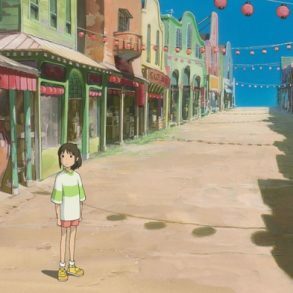 Miyazaki folds this weighty material into one of his most exciting, action-heavy children’s movies; its breathless pacing—that push-pull between Ghibli’s animators and Miyazaki’s storyboards—also steers the film away from didacticism. The atomic metaphor enters late in the film, and it is put to rest just as quickly. Its resolution comes at the hands of children, because as adults, we have failed in our role as stewards of the future. Miyazaki’s films are in love with nature. 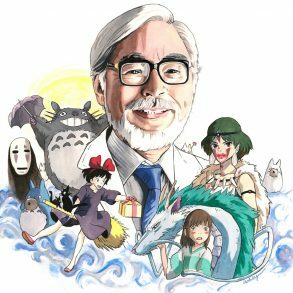 From the luminous, bucolic scenery of Kiki’s Delivery Service and My Neighbor Totoro to the knotty, ambitious world-building of Spirited Away and Princess Mononoke, his obsession hums through every frame. 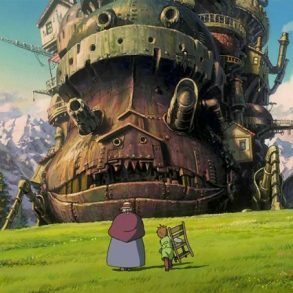 Yet Miyazaki never establishes stark good-bad dichotomies between humans and the natural world—except in Castle in the Sky. Here nature is not to be negotiated with, nor reveled in. The likes of Colonel Muska erase nuance. A humanity that would exploit nuclear energy is a humanity which doesn’t deserve its benefits. 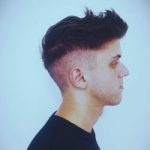 Zach Budgor writes about movies and videogames on the internet.